Black & Decker Toaster Oven Just $19.99! Down From $30! You are here: Home / Great Deals / Amazon Deals / Black & Decker Toaster Oven Just $19.99! Down From $30! Hurry over to Amazon where you can score the Black & Decker Toaster Oven for just $19.99 down from $29.92 PLUS FREE shipping with Amazon Prime or for orders over $25! 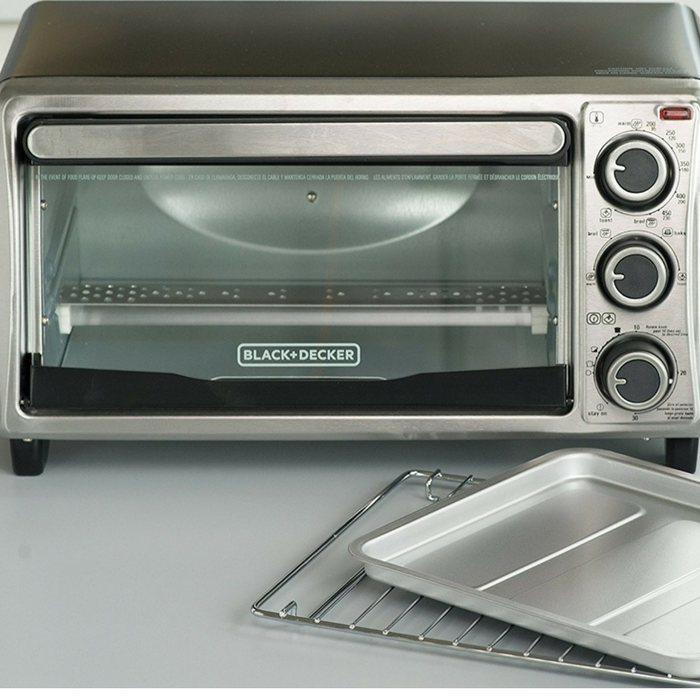 The Black + Decker Four-Slice Toaster Oven is a countertop classic! No need to heat up the conventional oven, this trusty machine has four functions that will have you cooking in a hurry—bake, broil, toast, and keep warm settings take care of all your baking tasks.